See how Skiddoo reconnect with abandoners on their site. Teaming up with SaleCycle, Skiddoo implemented an email remarketing campaign, targeting the 94% of website visitors who start a booking, but don’t complete the purchase. 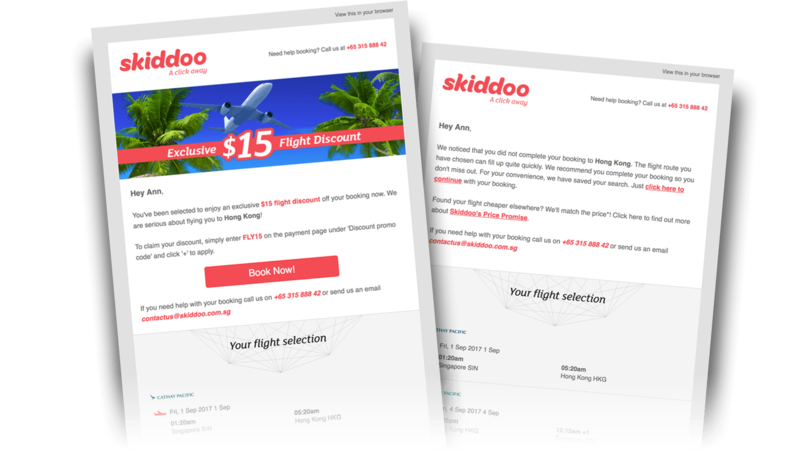 When it comes to booking flights, people take longer to research and make a decision, so Skiddoo were keen to get a handy reminder of the holiday into people’s inbox. The first email is sent 45 minutes after an abandonment occurs and includes full booking details and clear CTAs linking visitors back to their flight selection. If no action is taken, a follow up email is sent 24 hours later. If the visitor still hasn’t returned after 7 days then Skiddoo a final email reinforcing Skiddoo’s ‘Price Match Promise’. The email also offers a discount code that can be used on the flights selected. With initial open rates of the emails in excess of 42%, the two-cycle email campaign had 14% of people who clicked through back to the website, going on to finish their booking. 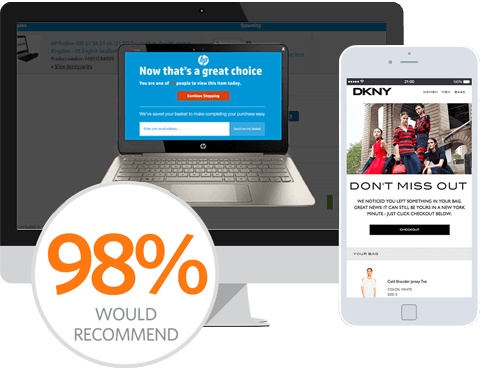 The inclusion of the third email cycle, resulted in an additional 6% increase in the number of conversions Skiddoo has seen through remarketing. Not only has this campaign achieved fantastic results for Skiddoo, but it is helping to send more people away on their long desired holidays, while saving them time too. Third Cycle Email	3rd time’s the charm.